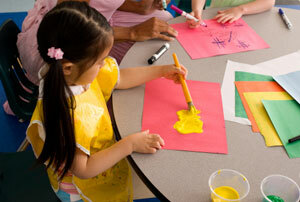 ​A professional local source for quality preschool and daycare experiences. We provide small class sizes and long term staff in our cozy environment... Where learning is fun! A quality childcare and preschool experience that feels like home! We have been providing quality care in Vancouver for twenty one years. We raised our kids and their friends here. Our staff has been with us since the early days because of the quality experience we provide. It is a pleasure to have young adults approach me now and say, "Miss MIchele, remember me? I was with you when I was in grade school, I loved your daycare!" We raised our kids and their friends here... and loved every minute of it.